Since that’s the case, we’ve taken the time to crunch the numbers and provide a handy guide to help you choose. The 2018 Jeep Compass keeps it simple with a single 2.4L four-cylinder engine. Making 180 hp and 175 lb-ft of torque, and up to 23 mpg in the city and 32 mpg on the highway, it offers a solid blend of performance and efficiency that’s perfect for most drivers. The 2019 Jeep Cherokee can make up to 22 mpg in the city and 31 mpg on the highway. Whether you want to take camping equipment out around Rice Lake or help someone move from Hayward to Cumberland, both Jeep SUVs offer plenty of cargo space. 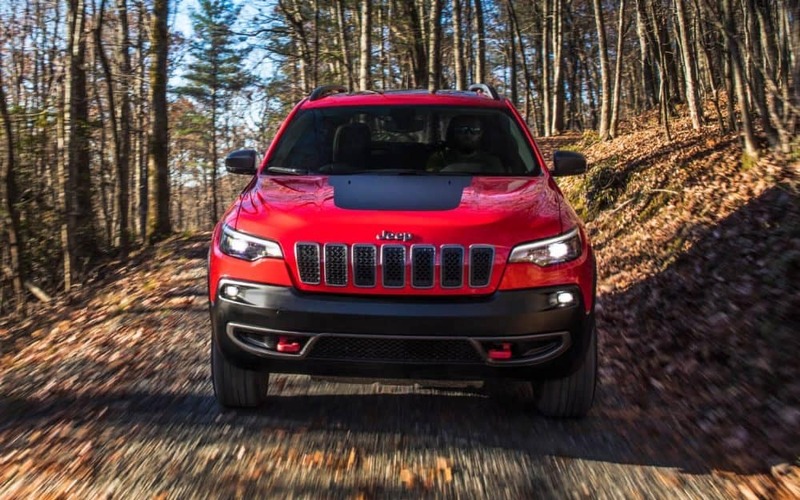 The Cherokee takes only a touch less, and its greater length adds appeal for many SUV drivers. ParkSense Rear Park Assist System: Uses sonar technology to let you know how close you are to rear obstructions while reversing. Whether you’d like to find out more about the recent 2019 Cherokee redesign or arrange a test drive in either Jeep SUV, simply contact Don Johnson Motors today.